The American Health Council is proud to honor Daniel F. Kelly, MD as “America’s Best Doctor” for his impressive contributions to the neuroscience and neurosurgery field. 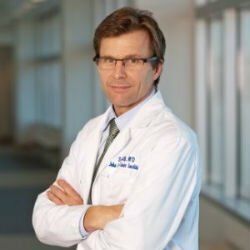 An accomplished neurosurgeon, Dr. Kelly serves as a professor of neuroscience and neurosurgery at the John Wayne Cancer Institute and the director of the Pacific Neuroscience Institute at Providence Saint John’s Health Center in Santa Monica, Calif. While he has held his current role for over 10 years, Dr. Kelly has spent over 20 years expanding his skills and knowledge in neurosurgery, brain tumors, pituitary surgery, medical education, patient education and patient support. Compelled by neuroscience and its challenges, Dr. Kelly decided to pursue a career as a neurosurgeon. After earning a bachelor’s degree from Claremont McKenna College in 1982, he received a medical degree from Georgetown University School of Medicine in 1986. By 1993, he completed a neurosurgical residency at George Washington Medical Center and quickly began improving his patients’ quality of life. Board certified by the American Association of Neurological Surgeons, the Congress of Neurological Surgeons and the Pituitary Society, Dr. Kelly is a renowned neurosurgeon and esteemed member of the Pacific Neuroscience Institute at Providence Saint John’s Health Center. His clinical practice specializes in brain, pituitary and skull base tumors, with a focus on endoscopic pituitary surgery and keyhole removal of brain and skull base tumors (benign/malignant) using minimally invasive and conventional approaches. He is best noted for his pituitary surgery, including post-operative and post-traumatic pituitary hormonal recovery and genetic profiling studies of brain tumors and pituitary adenomas. Dr. Kelly is honored to serve as the chief of division of neurosurgery, and accomplishes tasks of making the change from formal academics to “privademics.” He is also proud to have authored over 100 peer-reviewed publications and more than 25 book chapters on surgical outcomes and techniques, patient satisfaction and an array of medical topics, including tumors, pituitary adenomas, meningioma, craniopharyngiomas, Rathke’s cleft cysts, chordomas, olfactory neuroblastomas and sinonasal carcinomas. In addition to his successful medical career, Dr. Kelly also serves as an educator and places a heavy emphasis on education for both patients and rising medical students. Throughout his career, he organized several symposia and educational courses focusing on his direct experiences at several international and national events including the California Pituitary Conference, Endonasal and Keyhole Surgery Course, Pacific Neuroscience Symposium and the California Pituitary and Hormonal Health Symposium for patients and interested individuals. In his free time, he enjoys traveling, reading and running with his dog to maintain an active and healthy lifestyle. With a successful career at hand, Dr. Kelly attributes his achievements to his work ethic and dedication to his profession. He plans to maintain his success by continuing to provide the best possible care through fellowship mentoring, training and research. Providence Saint John’s Health Center has been serving the Santa Monica and Westside Los Angeles County communities since 1942, and since that time has earned a reputation for clinical excellence and award-winning care in a compassionate and tranquil healing environment. Today, Providence Saint John’s is a nationally renowned 266-bed hospital with physicians, nurses, volunteers and support staff who work as a team to provide the best possible medical care to its patients and the community. Providence Saint John’s reputation for academically-based care guided by research and evidence-based medicine is due to the commitment to excellence by our physicians, nurses and caregivers.